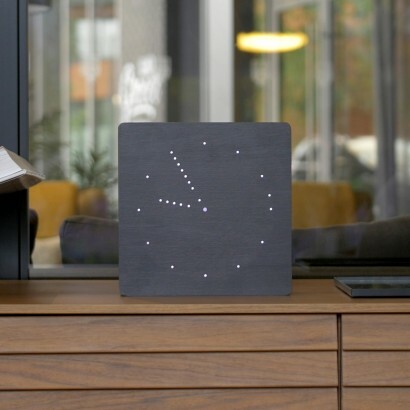 Whether it's freestanding or wall mounted, the Gingko Analogue Click Clock gives a contemporary vibe to your interiors. 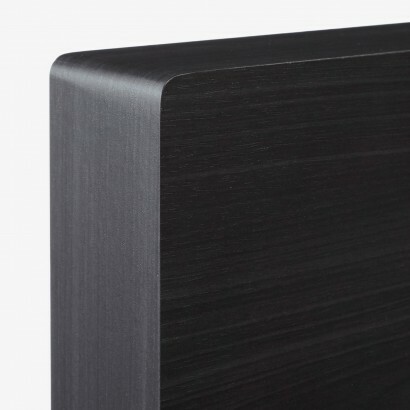 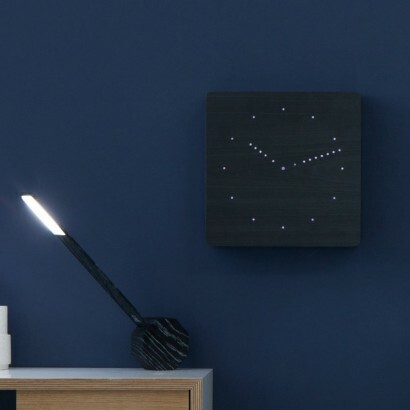 A modern reworking of the analogue clock face, this super stylish clock is lit with white LEDs against a black wooden veneer backdrop for a sleek contrast and stand out effects. 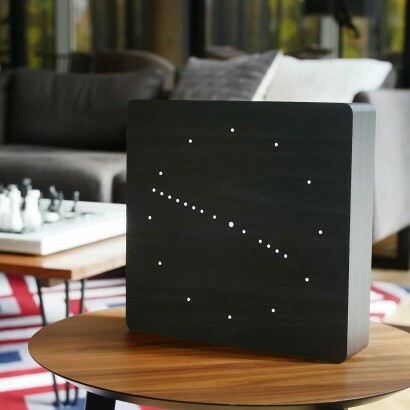 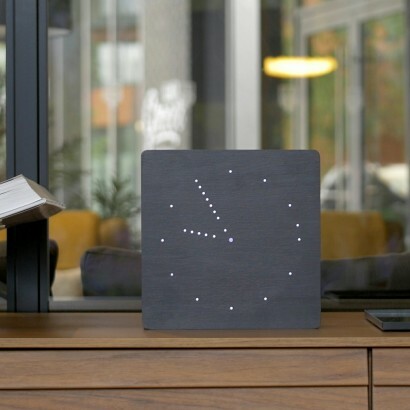 Set to permanent display, or to sound activated mode where the clock face will illuminate showing the second hand dots dancing across the clock face to show their unit of time. 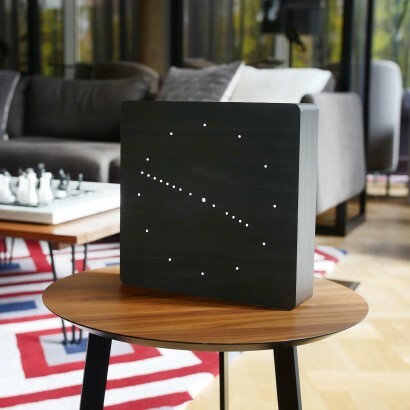 Clap your hands or click your fingers to activate the Click Clock in sound activated mode and the analogue display will stay lit for twenty seconds a time before dimming again. 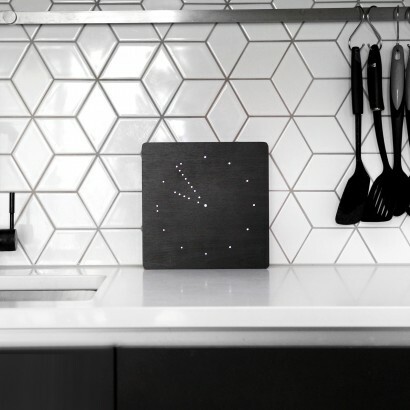 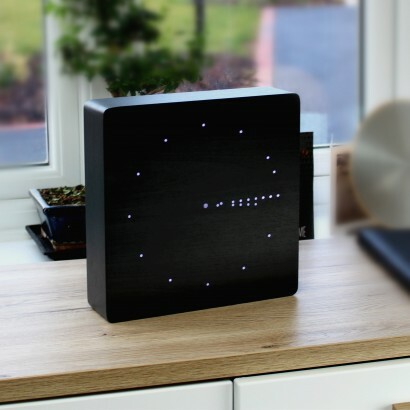 A sleek and stylish silhouette for your space, this contemporary clock also has an alarm function with snooze ensuring that you're alert and ready for the day!